Check out the latest influencer-promoted fashion items. Be the first to keep up with the trends and subscribe to our regular newsletter. A practical pair that will lend a statement finish to almost any outfit, the Daze ankle boots from Kurt Geiger are a cool option for your collection. Boasting a lace-up design and a coordinated, oversized bow trim, they're punctuated with a patent toe and heel cap for a contemporary flare. 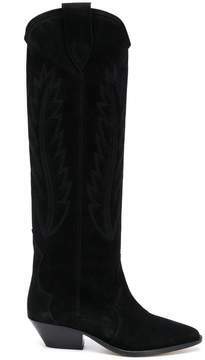 Sitting on a low block heel and featuring a durable, cleated sole, these boots are comfortable for day-long wear. Complete a cool skinny jeans and leather jacket look, or vary your style and wear with a suede mini skirt for edge-led appeal. Black and yellow cotton and virgin wool blend trousers from Alberto Biani featuring a high waist, an elasticated waistband, rear welt pockets, a straight leg and a check pattern. Wear this beautiful dress with some strappy sandals and a cross body bag and you've got an incredible look. The medium GG Marmont chain shoulder bag has a softly structured shape and an oversized flap closure with Double G hardware. The sliding chain strap can be worn multiple ways, changing between a shoulder and a top handle bag. Made in matelassÃ© chevron leather with a heart on the back. This Balfern biker jacket is cut in a slim fit, crafted from butter-soft sheep leather that gets more supple with each wear. 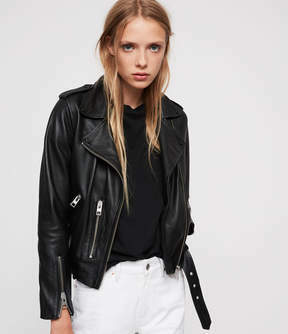 Designed with classic motorcycle-inspired details including zip cuffs and a belted hem, this timeless biker is a wardrobe staple for all year round. Embrace fierce fashion in this snakeskin print shirt. For an effortlessly chic look, simply style as is or tied at the front with roll-hem jeans and patent boots. We wouldnât really mind feeling the cold if it means we can wear this star print dress, right girls? Snake it easy. 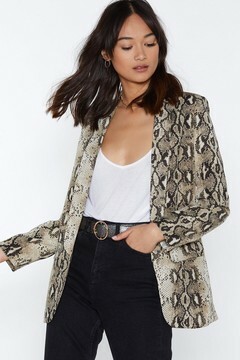 The Snake a Minute Blazer features a snake print throughout, relaxed silhouette, and open front. A cozy cardigan is what the change in season has ordered. The Clementine Cardi by Tularosa x REVOLVE is a key layering piece that seamlessly drapes over your day-to-night ensembles. 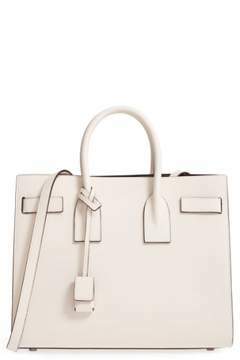 A two-tone Saint Laurent bag in pebbled calfskin leather makes for a look that's as luxe as it is timeless. Do denim the modern way with our high rise ankle grazing skinny jeans in black power stretch denim with 1 knee rip detailing. The Utility Slaying This Jumpsuit features a relaxed silhouette, button closures at front, pointed collar, breast pockets, and tie belt at waist. 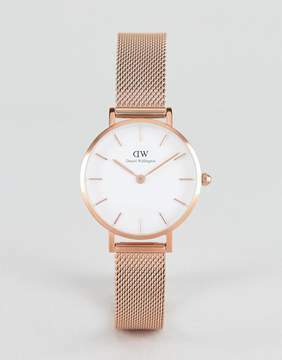 Daniel Wellington was a preppy power player, known for his impeccable style and his watches, of course. Isabel Marant is known for their minimalist take on bohemian fashion, presenting refined and fuss-free silhouettes with a versatile colour palette. These black Denzy high boots are crafted from leather and feature a pointed toe, a low block heel, a knee length and embroidery detailing.